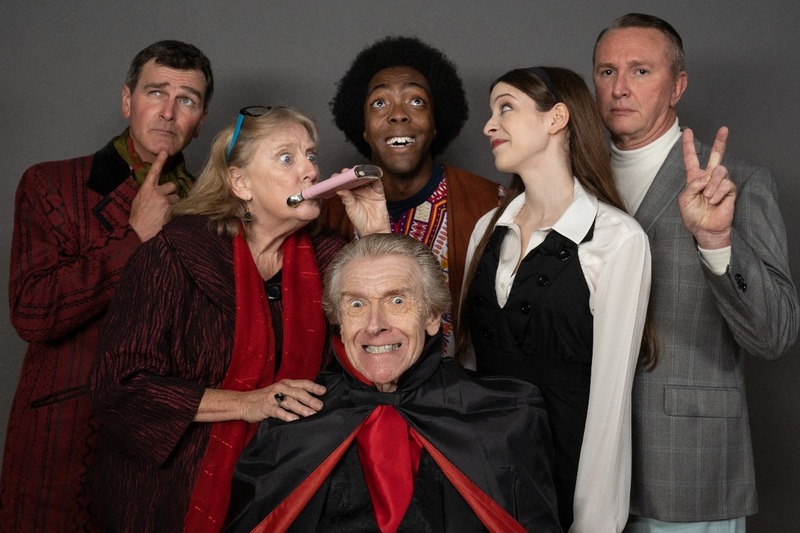 Fundraiser by Steve Schneider : Bring Black Wood to the Orlando Fringe! Bring Black Wood to the Orlando Fringe! Get into some Black Wood! Orlando Fringe favorite Steve Schneider is back with a hilarious and poignant new comedy that haunts the dark shadows of dysfunction. It’s 1967, and actress Caroline Logan has just joined the cast of America’s top supernatural-themed TV soap opera. But will nervous network censors and a vampire with line trouble derail her career before it’s even begun? A cast of A-list Orlando talent will bring life to this side-splitting script by one of the Orlando Fringe’s leading playwrights. Help us complete the show's journey from its well-received workshop reading last August at Savoy to fully staged performances this May in the mighty Fringe Gold Venue. Get on board as a fully-fledged advertising sponsor, snag yourself some official show merch, or just make a kind donation to show you’re all about that Black Wood! A grateful shout-out in our show program! A shout-out in the program, plus an official show t-shirt! A business-card-sized ad in the show program! A business-card-sized ad in the show program, plus a t-shirt! A half-page ad in the show program! A half-page ad in the show program, plus a t-shirt! A full-page ad in the show program! A full-page ad in the show program, plus a t-shirt! The name/logo of your business on all show posters, plus a full-page ad on the back cover of the program! We are proud and grateful to welcome Phoenix Tears Productions as a supporting advertiser of Black Wood! And don’t forget to pick up your tickets to Black Wood, now on sale! BLACK WOOD TICKETS ARE ON SALE! 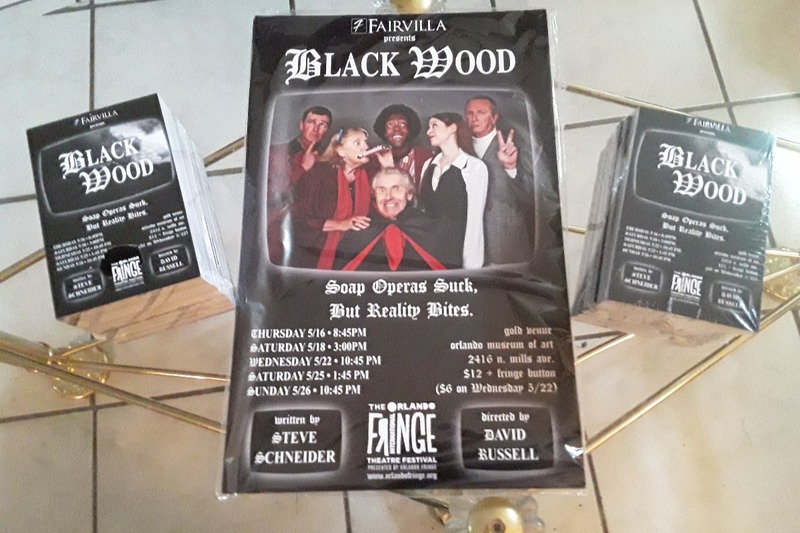 Head on over to the Orlando Fringe ticketing site to reserve your space at Black Wood, the comedy about a supernatural soap opera that’s going to bite you hard in the funny bone! Performances begin May 16th! And come by the Orlando Shakes tonight at 9 to see us perform a two-minute preview of the show, as part of the Fringe’s Local Teaser Night for Mature Audiences! This thing usually sells out, so get your tickets now! PRESENTING THE CAST OF BLACK WOOD! Tickets for our May Fringe Festival run are now available to Club Fringe members, and go on sale to the general public April 15th.